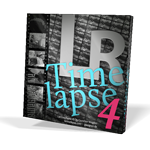 The new versions of Intensify and Intensify Pro are designed to give you the most powerful photographic detail enhancements possible. With faster performance, enhanced RAW processing and new ways to share your images online or in print, there’s no better way to make eye-popping images that everyone will love. If you already own the previous version the update is free. You can use the Apple App store for the update too Intensify and the Macphun web site for Intensify Pro. Please use the link below to order from Macphun. *Already own Intensify? Update for Free. Now upload your favorite Intensify photos to the world’s leading photo sharing service. There’s no better way to share your photos than a gorgeous print. The new Macphun Print Lab, powered by MILK Books, gives you awesome print options that will make you smile. With every new release, our engineers go “under the hood” to twist some dials, move some levels and squeeze out an even faster version. You and your Mac will love more speed. We’ve updated our 16-bit RAW image format libraries to support even more cameras, including the latest DSLRs. Perfect Photo Suite 8.5 Now Available – Photo Editor for Adobe Lightroom, Adobe Photoshop, Apple Aperture, and standalone use. Perfect Effects. The richest and most versatile photo-stylization tool available on the market today. It includes an extensive library of one-click presets, fully customizable and adjustable effects and powerful masking tools, all of which help make your photos !pop. Perfect B&W. Create stunning photos that recreate the timeless look created by the masters of black and white photography. Perfect B&W adds dramatic and elegant looks to photos, letting you easily create the many moods black and whit photography can evoke, resulting in beautiful, one-of-a-kind photos. ￼Perfect Layers. Gives photographers the ability to combine images and extend their photo-editing options in a layered file workflow without Photoshop. Photographers can create and edit multi-layered files with Perfect Layers directly from Lightroom, Aperture or when using the Perfect Photo Suite as a standalone application. Also included are blending modes, textures, borders, PNG file support, and the powerful edge-detecting Perfect Brush. Perfect Browse. Quickly get to the photos you want to edit wherever they’re stored— whether they’re on your computer, network, or on a cloud-based storage service. Now includes one of the fastest previews available for browsing photos. Also great for viewing photos side-by-side in a thumbnail grid or in a larger, more detailed view along with important metadata and navigate through them with intuitive keyboard shortcuts. CLICK ON THE BANNER TO GET YOUR COPY. Think Tank Photo just announced a special “Gear Up For Summer!” special offer. 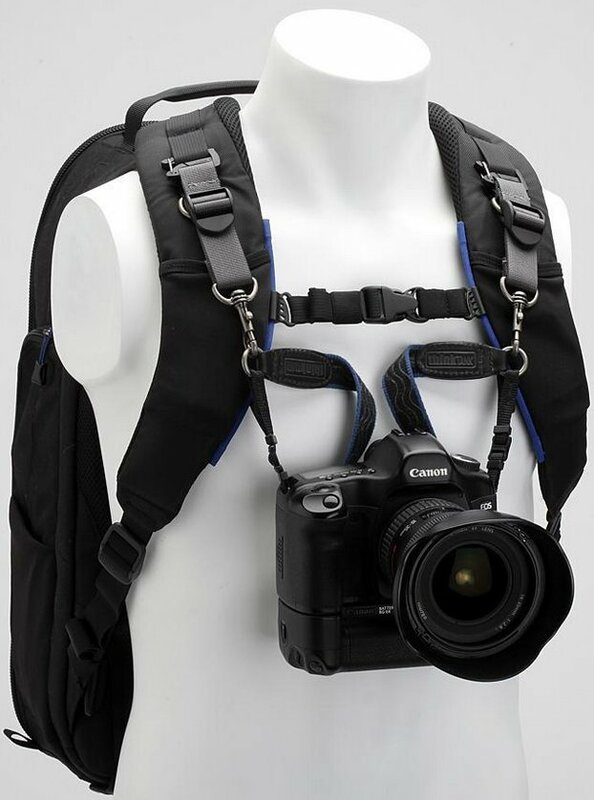 Buy one of their highly acclaimed backpacks and they’ll include a Blue Camera Strap V2.0 and Camera Support Straps V2.0 (a $44.50 value) for free! Take a load off your neck, shoulders, and back by using Camera Support Straps V2.0 along with the Camera Strap V2.0. These straps keep your camera’s weight off your neck and shoulders and transfer the load onto your backpack’s shoulder straps and waist belt. You’ll hardly notice your camera is there even though it will be ready to go for hassle-free shooting. Capacity — Their backpacks are the most efficient shape for carrying the most amount of gear in the smallest package. They’ve got you covered whether you’re hauling around multiple bodies with a vast array of lenses and support gear (like a laptop and tablet), large telephoto lenses or a lightweight, stripped down kit. Portability — Flying with your gear? All of their backpacks are sized for US Domestic and International carry-on on regular sized airliners. They’ve got bags for commuter and regional aircraft, too. And don’t forget that by using my link (Click on the thinkTANK logo) you receive a Think Tank product free with your order, free shipping, and the best customer service in the industry. Offer valid through May 31, 2014. 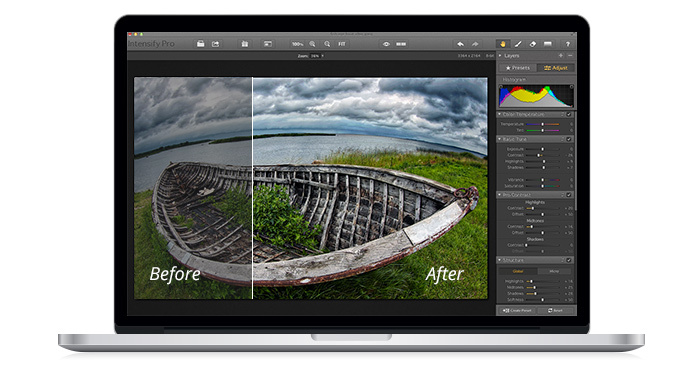 For a limited time, onOne is giving away Perfect Effects 8 Premium Edition ($100) for free.